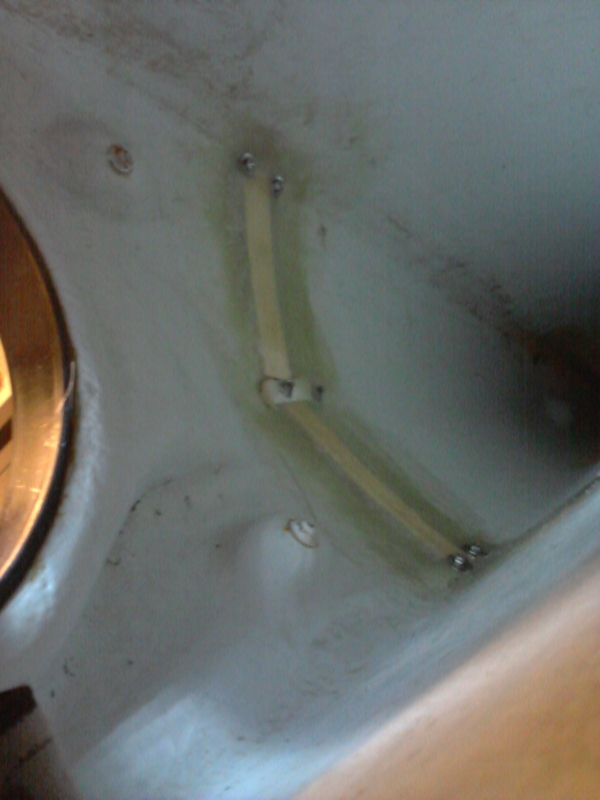 When I described installing the sail, I was rather optimistic with my assessment of the strength and suitability of the front deck of the Tahe Wind 585. I was completely preoccupied with the ‘downward’ forces acting on the mast base, in fact the Tahe deck manages these down forces well. Having read Rob Mercers Kayak Sailing safety guide, it was when I had a session on the water trying some some self rescue techniques that I discovered some very different forces were acting on the deck. If you look at the two shots above you can see the mast foot is subject to a ‘Turning’ force. This force compresses and ‘caves in’ the deck allowing the side stays to fall slack with this change in geometry. Not a good situation at all, especially in these dead calm conditions, add in wind and waves and the likely result would be some serious damage to the Deck. 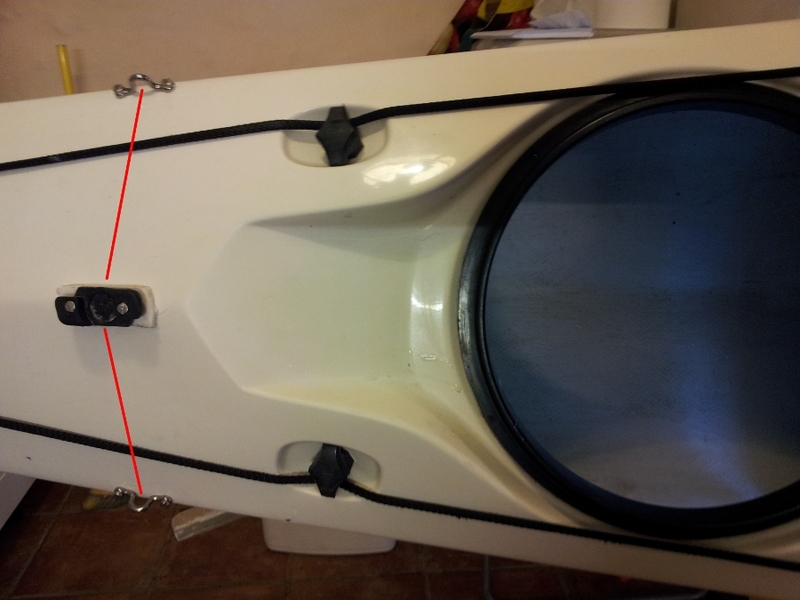 The red lines show the area that I need to reinforce, it’s set back about 30cm from the front hatch opening, it was not going to be straightforward, I could get my head in the hatch… but not with an arm. So it was simply a matter of taking a look then working blind with a quick check every so often make sure all was in order. I was pleased with the end result, I laid the 3mm Lathes on top of two layers of a heavy chopped strand mat, then a further layer of mat over the lathes. To keep everything smooth over the work I mixed up a little ‘Flowcoat’ and gave everything a coating. Without doubt the deck is more rigid, Ive decided to install an electric pump tomorrow before getting out and testing the reinforcement.